The holidays are meant for counting our blessings, entertaining, celebrating the season, and getting together with family and friends. 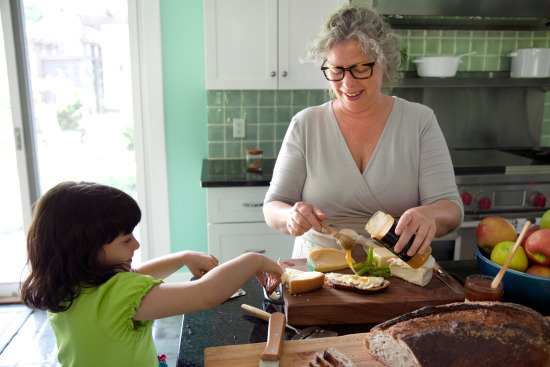 This means it’s a time for channeling our inner domestic goddess, and who better to inspire us than our Mom Muse Maria Rodale. Mother of three with a love of cooking and healthy food, Maria is not only committed to living a healthy lifestyle in her personal life, but she also heads up Rodale Inc., the publishing house known for its focus on health and wellness. As the CEO and chairman, she leads the company, which was originally founded by her grandfather in 1930, on its mission to inspire and enable people to improve their lives and the world around them. 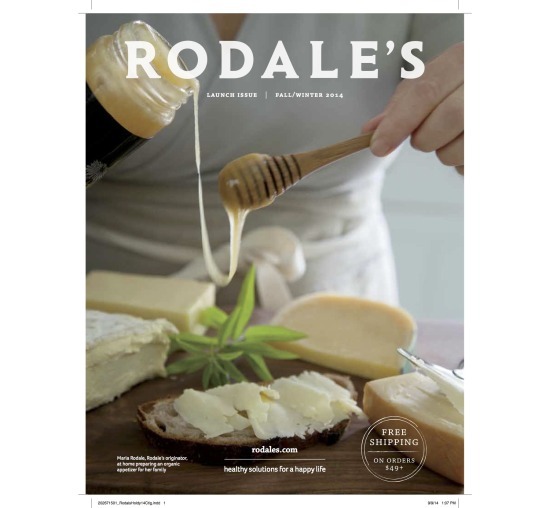 Rodale publishes some of the best-known health and wellness magazines, including Men’s Health, Prevention, Runner’s World, Women’s Health, and Organic Gardening (which will relaunch as Rodale’s Organic Life in Spring 2015). We are excited for this relaunch as the new brand will not only include a magazine, but also digital, live event and e-tailing components. Who among us doesn’t want to be healthier??? The company is also one of the largest independent booksellers in the U.S. with a collection of more than 75 New York Times bestsellers, including An Inconvenient Truth, by Al Gore and Jessica Alba’s The Honest Life. Maria is an activist and a businesswoman who is focused on promoting the benefits of an organic lifestyle. She joined her family’s publishing business in 1987 and worked her way up, from the circulation and marketing departments to strategic and editorial positions, before leading the Organic Living division. 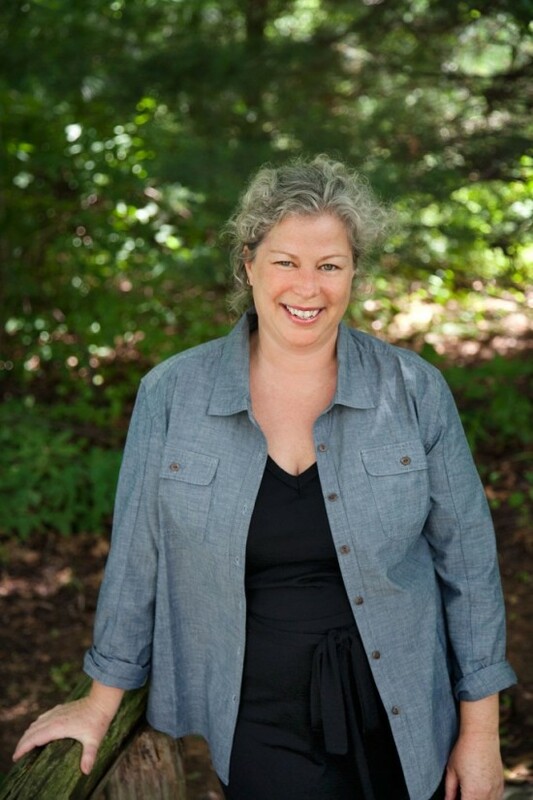 In 1991, she became a member of Rodale’s board and then its chairman in 2007. 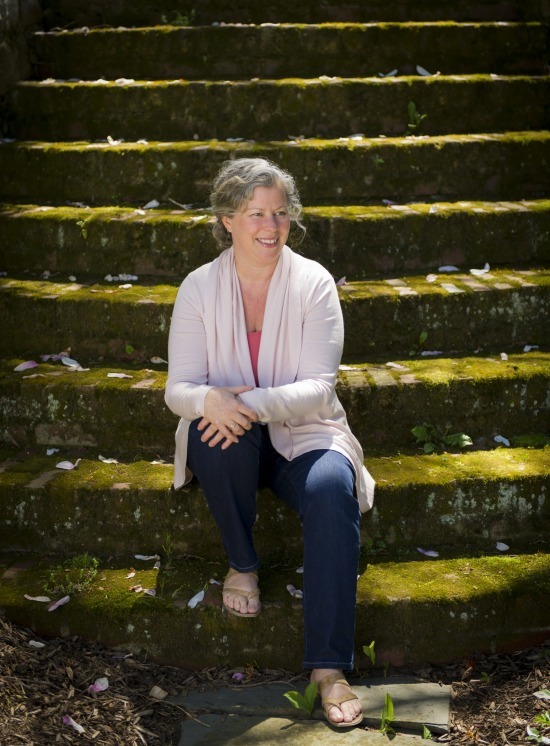 In 2013, Maria created and launched Rodale’s, an online shopping destination that offers healthy and safe products, from clothing and beauty items to housewares and toys. The staff reviews all merchandise before it is approved for sale to ensure it meets specific safety criteria, as well as standards for environmental sustainability. The focus areas running along the bottom of each page – Nuture, Nature, Neighborhood – sum up the site’s foundation nicely. We love this and, as moms, so appreciate having a curated selection of high-quality, natural items in one place. The first Rodale’s catalog cover for Fall/Winter 2014. Request a copy. 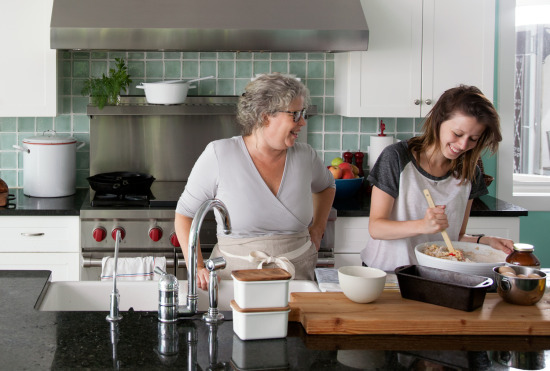 As if she doesn’t have enough on her plate, Maria also created Maria’s Farm Country Kitchen, a blog that offers a digital experience of the contemporary kitchen table: a place to exchange recipes, entertain friends, and discuss timely ideas. 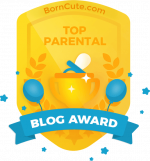 This insightful website touches on a number of topics, from how to trim your tree and yummy recipes to sustainable clothing, talking to your kids during the holidays and Maria’s favorite books. We highly recommend checking it out for inspiration! Maria and her daughters at home. Photo Credit: Cedric Angeles. An author herself, Maria is best known for Organic Manifesto: How Organic Farming Can Heal Our Planet, Feed the World, and Keep Us Safe. 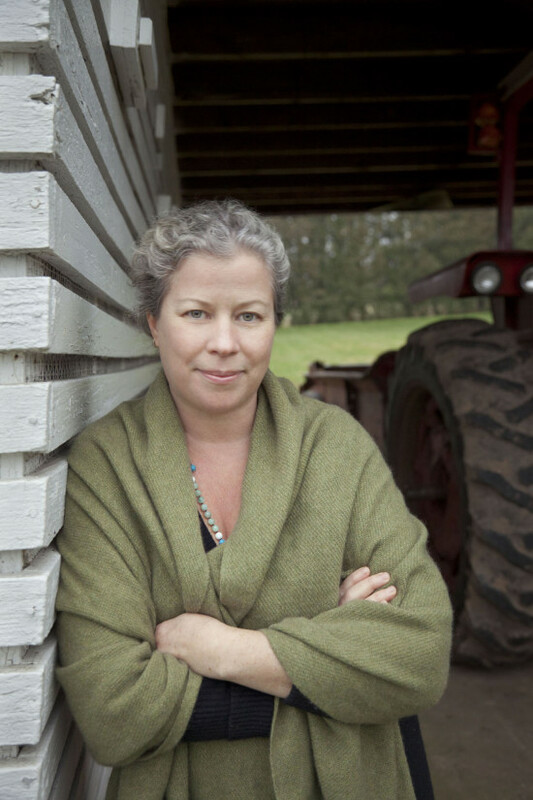 By writing this book, she wanted to help clear up the misinformation surrounding the organic food industry, and talks about why chemical-free farming holds the key to better health for our families and the planet. Not surprisingly, Maria has won numerous awards, including the National Audubon Society’s “Rachel Carson Award” and the United Nations Population Fund’s “Award for the Health and Dignity of Women.” She is co-chair of the Rodale Institute Board and a member of the board of Bette Midler’s New York Restoration Project. On a personal note, Maria is the proud mother of three daughters – Maya (32), Eve (17), and Lucia (8) — and lives in Bethlehem, PA.
Maria and Lucia at home in the kitchen. Photo Credit: Cedric Angeles. Maria and Eve whipping up one of their favorite dishes. Photo Credit: Cedric Angeles. 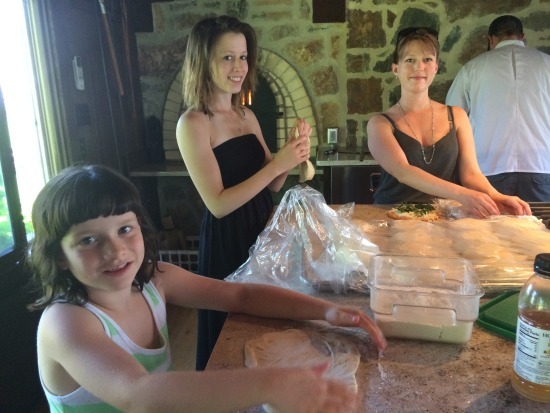 Maria’s daughters — Lucia, Eve and Maya — making pizza. 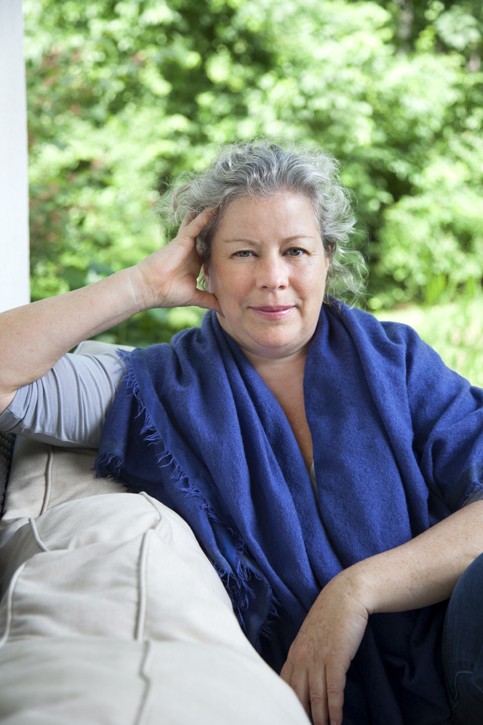 I’ve had lots of wonderful moments, but looking back, the most important one was launching Rodale’s. It was a totally new business space for our company, and people were skeptical of whether or not it could be done – and now we are starting to see it succeed! My grey flannel organic cotton bathrobe by Coyuchi; it is one of my favorite picks from Rodale’s this season. I’d wear it to work if I could! And then there is cashmere. Anything cashmere. I am very inspired by artists like Georgia O’Keefe. I am the rare woman who can be ready in 10 minutes (not including my shower, which can go on and on!). I don’t wear makeup. My only moisturizer is organic coconut oil. I’ve long ago stopped trying to control my hair. I also have a closet full of very comfortable (all machine washable) organic clothes that are basics I turn to again and again. I know I’ll feel good wearing them. MSL: Developing a unique style comes at an early age for some children. Do (or did) you let your children choose what they’re going to wear? All my children have been choosing their own outfits since they were six months old. That might be a slight exaggeration, but not really. I never force them to wear something they don’t want to wear and I try not to laugh when they come down from their rooms wearing all sorts of crazy stuff. It amazes me to see how each child is different in their style and how they express themselves through their clothing. The most important thing I might argue with them about is being dressed appropriately for the weather. As an “experienced” mom, I try to remember to sneak some extra clothes into my bag if they put up too much of a fuss. Flip flops if it’s hot. Sweaters if it’s cold. And I always have a shawl or two to share. MSL: We’d love to hear what your favorite recipes are for the holiday season. 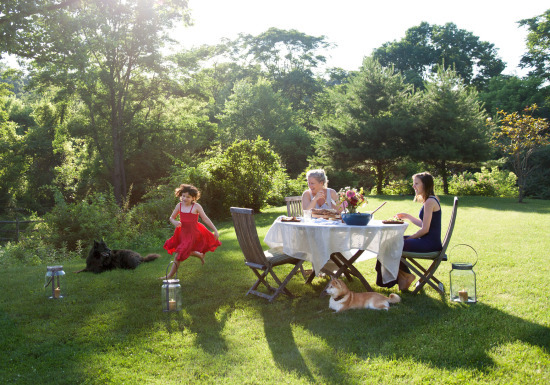 And any family traditions you’d like to share? A couple of my favorite recipes include Mrs. Cinquino’s Italian Sausage Stuffing (it’s always a huge hit!) and Apple-Walnut-Clove Mac and Cheese, which is perfect for a quick winter weeknight meal, plus it feels seasonal and special. Some of our holiday traditions: If it snows, a fire in the fireplace, plus needlepoint and crafts. If the snow is deep enough, cross country skiing. No snow, we go ice skating! Or a Christmas Day movie if there is a good one on. Also, a huge, all-women group solitaire game! Other ways we get domestic and relax during the holidays: We all love to cook, bake and eat, so that’s always fun and filling as well. But the main thing is we enjoy having days with no agenda, no plans and naps if we feel like it. It’s a time of deep rest and planning for a happy and healthy new year. Ever since I was little I wanted to be a fashion designer. And I love to shop, and occasionally buy truly high quality clothing – my favorite designer is Loro Piana. I am hoping to start designing a line of clothing with Rodale’s in the near future. I believe that clothing has the power to change women’s lives, and I want to be a part of defining that future. Don’t be afraid of what other people think! Have fun, be courageous and express yourself! And last but not least, always be comfortable. Life is too short to feel constrained by your clothes.